Check your server (or local computer) for necessary prerequisites listed in section 2.1 (see section 2.1). Go to http://www.viart.com/Free_Evaluation and download ViArt Shop Evaluation archive saving the file to your computer. 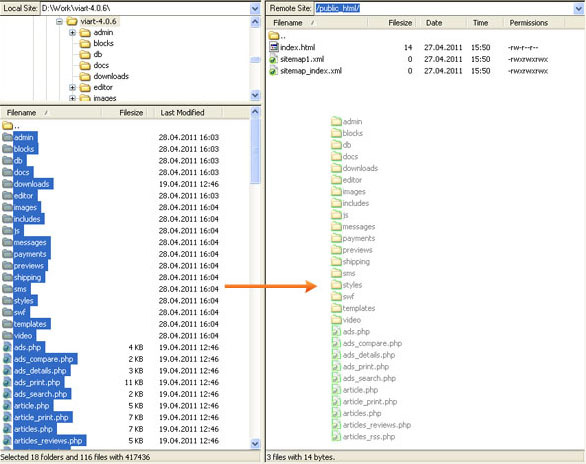 If you downloaded a zip archive, unzip it to some folder on your computer and upload all files to your server via any FTP client (it can be FileZilla, Total Commander, WinSCP etc.) to a public or a root folder (usually, it is called "www" or "httpdocs" or "public_html"). When the files are uploaded, set privileges for the 'includes' folder to 777 to be able to finish installation. After installation it is strongly recommended to change the privileges for this folder to 755 or 655. Fill in the necessary fields and press the 'Upload' button. Please, see the below image as example. An email will be sent to you at the start of the process and when the installation is completed. The whole procedure usually only takes about 5-20 minutes. Note: The folder where you want to upload ViArt Shop must be created and have writable premissions. Installation requires a database and database user to be created. 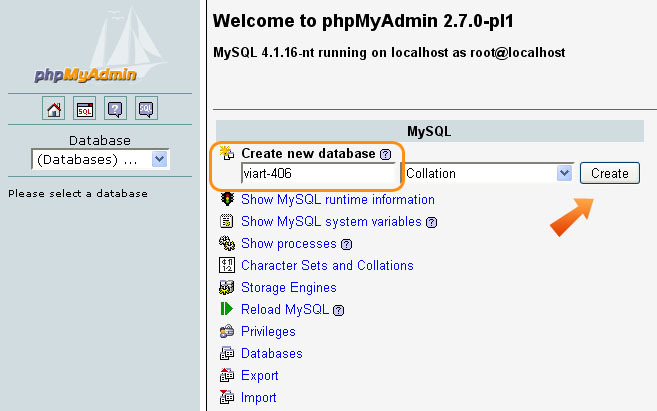 If you're installing the shop on localhost then usually it is done via phpMyAdmin program. If you don't see any database settings in your cpanel or you don't know how to use them please contact your hosting provider or order an Installation Service from our team. Further, open a browser window and type in http://www.yoursite.com/install.php in the browser's bar (where yoursite.com is your domain name). Note: if you install ViArt Shop on the local computer, type http://localhost/your_viart_folder. Database Type is a type of DB your server/computer supports. Hostname: the Server name where your database resides (usually it is called localhost). Database Name / DSN: the name of the database you have created. Username: a login name of your DB user. Password: a password of your DB user. Populate DB: tick this checkbox to populate DB tables with data. Test Data: select this option to populate DB with test items. Clicking on the Next link will initiate the database build, and show an install progress counter (see image below). When the DB is populated, you are redirected to Step 2 of Installation Wizard, where you specify the details for your Admin panel. Site Name: is meta title of your home page. Administrator Email: the email address you wish the site administrator messages to be sent to. 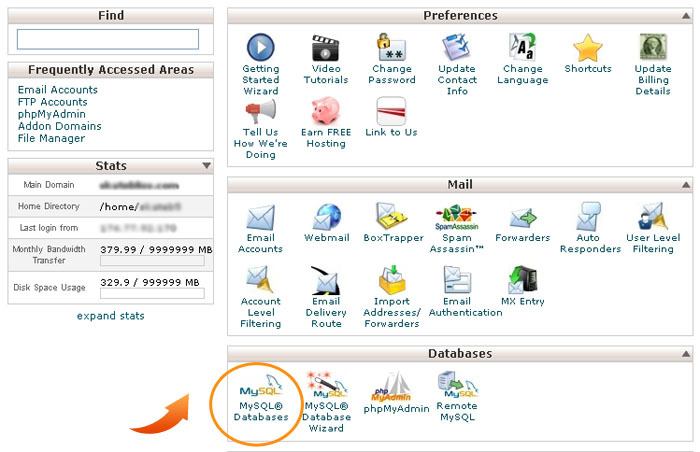 Administrator Login: an Administrator name for logging in to the ViArt Admin Panel. Administrator Password: a password for the Administrator to login. Confirm Password: confirmation of the above password. Further you have to choose your Date and Time preferences by clicking on the Select form list. On the next step choose one of the eleven default design layouts: Default, Curved, Silver, Double, Convex, Fashion, Rainbow, Demo, Classic, Marine, E-commerce. Note: the Template settings can be changed later (see section 4.3). And finally, on the last step you see all relevant links for ViArt Shop management. Administration URL: takes you to the Admin Panel. Site Home URL: takes to ViArt Shop front-end. Manual URL: redirects to ViArt Shop manuals. Note: You are welcome to view the flash manual of installation procedure here. Optionally, you can also take advantage of our Hosting service, in which case we will install ViArt for you. (see section 2.2.5).